Man Called Noon is taking their sound center stage in hearts of music enthusiasts around the world. The Chicago based rock band comes to the table with a multi-genre brand of vibrant melodies while remaining true to their roots in Americana rock music. The energy behind the group’s sound is memorable, to say the least, as each member brings one component of the collective sonic craftsmanship that keeps listeners on the edge of their seats with pure delight. Tony Giamichael (lead vocals and rhythm guitarist), Dave Aitken (bassist), Josh Fontenot (drums), Stephanie Layne, Erin Myover-Piotrowski (backing vocals), Nathan Crone (keyboards, multi-instrumentalist), and James Manny Manno (lead guitarist) have all made a healthy contribution in constructing the brand known as a Man Called Noon. Everybody Move, the group’s new single from their EP of the same title is an awesome display of the group’s talent. I must admit that this is one of the best rock bands that I’ve heard in quite some time. 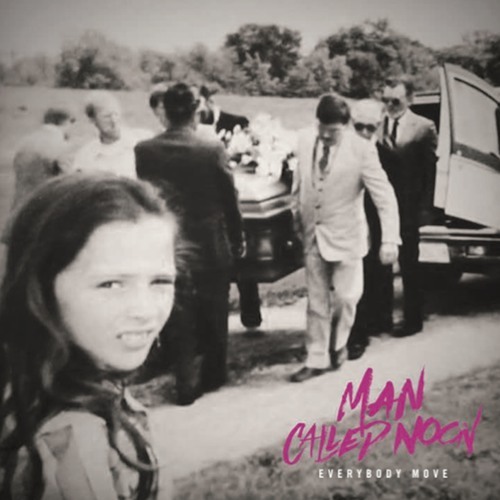 Everybody Move has an attractive solid ear-catching groove that rock purists are sure to enjoy. Lead singer, Tony Giamichael provides a perfect vocal and delightfully positive lyrics. The song’s theme is quite inspirational and leaves the listener with a message of rising above adversity without sounding too preachy. Overall, Everybody Move by Man Called Noon are the footprints of a legendary beginning.